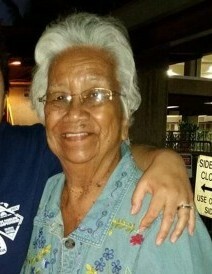 FELICIDAD 'LINKY' KALELEIKI, 82 of Ewa Beach passed away on October 29, 2018 in Honolulu. She was born in Koolaupoko, Oahu. She is survived by her sons Ivan 'Bla' Kaleleiki, Rodney (Claire) Kaeleliki, Nathan 'Kalani' (Magdalena) Kaleleiki; daughters Peal (Raymond) Sedeno, Ruby (Marvin) Jenkins, Marlene Sedeno; sister Dorothy Ortegaro; 23 grandchildren and 34 great-grandchildren. Visitation will be 5:30 pm Monday November 26, 2018 at Mililani Memorial Park's Makai Chapel followed by funeral service at 6:30 pm.